New innovations and striking developments in the field of Artificial Intelligence (AI) have changed the face of technology in the 21st century. The high competency of this technology and near to zero fall rate has found it a strong beneficiary in highly specialised sectors such as defence. Fomenting more accurate, rapid and responsive battlefield decisions, the adoption of this driving technology will revolutionise extensive changes in the military, which is currently examining ways to integrate AI with traditional resources. 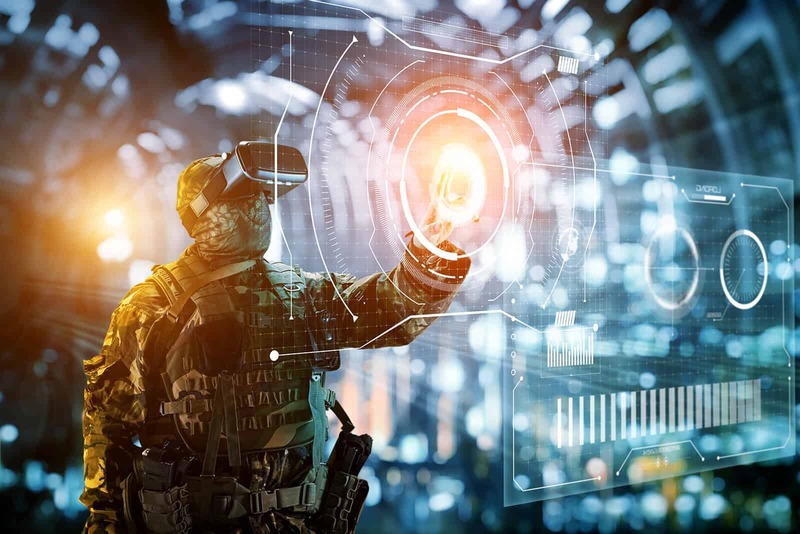 The applications of AI in the military is not restricted to tactical context alone but is also assisting in managing cyber actions and automated operations on the field, promptly decreasing on-ground casualties. Elevating to a higher scale, AI’s adoption by the military is turning a new leaf in the way the forces are being upgraded and mechanised. The conjugation of AI with cyber-security is not an entirely unheard phenomenon. AI startup, Pattern Ex along with MIT, had constructed an AI-ML system for military forces that reviews more than 3.6 billion worth of cyber log files, detecting 85% external attacks and effectively countering them within seconds, saving confidential data from being leaked to unscrupulous sources. In addition to preserving military data from external entities, AI is also being experimentally used for training ground forces. AI-based Intelligent Tutoring System (ITS), ‘SHERLOCK’, is currently being used by the US Air Force to teach new technicians, ways to run electric diagnostics on aircraft. IBM Watson, an ITS by Microsoft composed of 90 servers, is also being extensively used to curate personalised support intelligent analysis that finds applicable and situational lessons for the continuous refinement of these personnel. However, AI’s most fundamental use lies in the area of conflict prediction and prevention. As of now, the actions of the military are responsive rather than proactive. But integrating a combination of AI and big data within the military systems can adequately be used to identify potential agents of threat so that a proactive and systematic approach to conflicts can be initiated. One strand of this new thinking has been used by Google which has incubated Jigsaw, an AI run program that combines Google’s search algorithm with YouTube’s video searches to identify potential ISIS recruits. The program determines people attracted to online ISIS content and then places links to content that Jigsaw believes will undo ISIS’s brainwashing. In its pilot run, the program was able to draw 300,000 people to anti-ISIS content. Though the program is being further built to identify and track these radicalised people, in the future the program can definitely aid the military in surveillance. However, contemporary utilisation of AI in target system analysis and Crypto-preserving of intelligence, are opening newer and broader avenues for this technology in the military. In the present world scenario, the NATO nations, through years of cutting-edge technology, are the leading players who have embraced AI in their defence sector. Leading by example, the US Defence Forces are the first in the world to make prudent use of AI for increasing the safety and efficiency of its forces. Following suit, European NATO members like The Netherlands, France, and Belgium among others, are also not far behind in embracing AI for enhancing military competence. With EU leaders and defence officials committed to a continuous debate, the AI revolution is not far from hitting the shores of Europe. Though the defence organisations across the EU are open to accepting the integration of AI with their forces, government institutions are choosing to watch and learn from the US first. 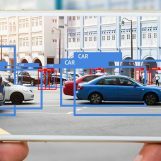 The United Nations has, however, instructed the Dutch government to open an AI and Robot monitoring station in the international capital of justice, The Hague. The main focus of this station would be to record and accelerate the growth of AI in the field of security within the European Union. A private think-tank located in the Netherlands, is also actively engaged in researching the transformational impact of AI on the security and defence landscape of the Netherlands. Though currently nascent, the AI ecosystem in the Netherlands is certainly building up. The University of Amsterdam has recently collaborated with private businesses and the municipality, to turn Amsterdam into the world AI hub. The Dutch government has also on its part, allocated funds for ambitious research initiatives in the field of AI that will put Netherlands on the AI map. The World AI Show Amsterdam is one such event where a line-up of elite international speakers and government functionaries will come together to discuss the future applications of AI in the European market. The event held by Trescon will take place on November 8, 2018 and will see AI and Robotics expert engage in informative panel discussions and tech-talks. To know more about the event, click here.